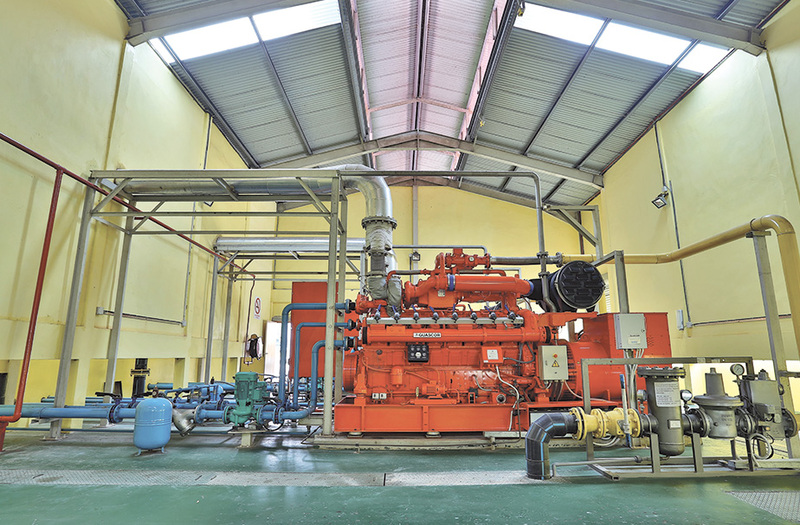 Our subsidiary, Mistral Engineering Sdn Bhd own and operate a biogas power plant that generates electricity by capturing the methane gas from palm oil mill effluent (POME), thereby mitigating the emission of greenhouse gases. 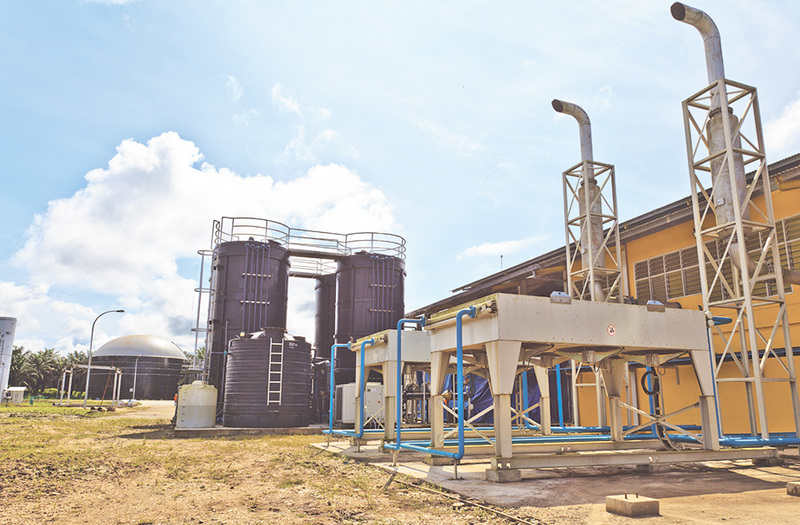 There is also Zero discharge to the river as the final discharge from their biogas plant is through a system of drip irrigation for land application. 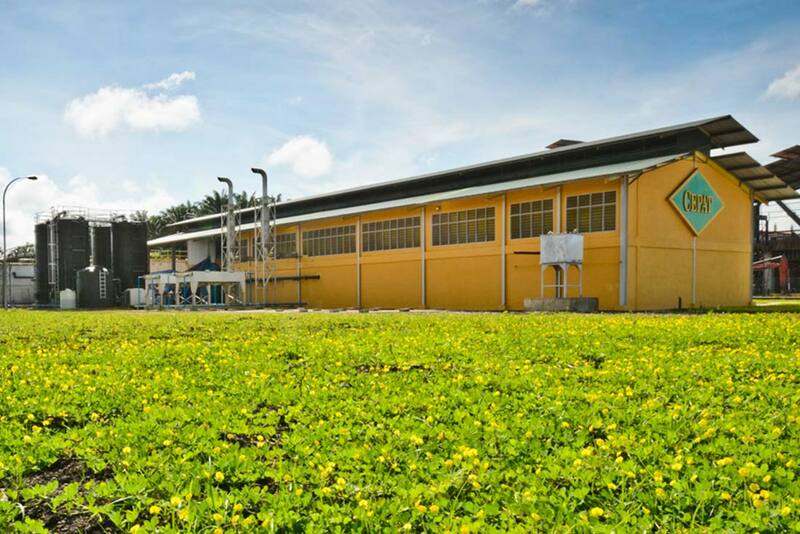 On 18 February 2015, Mistral Engineering obtained the Feed-In Approval from SEDA to sell renewable electricity to Sabah Electricity Sdn Bhd (SESB) at a FiT rate of RM0.4169/kWh for 16 years from 4 November 2015 to 3 November 2031. 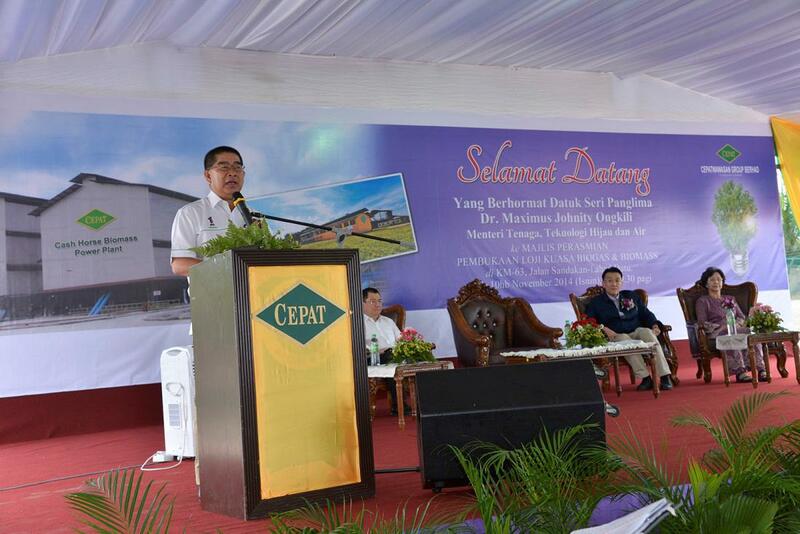 NOVEMBER 2014: Cepatwawasan Group Berhad’s biomass and biogas power plants at off KM 63, Jalan Lahad Datu, Sandakan costing a total of RM130 million were officially opened by the Honourable Minister of Energy, Green Technology and Water Malaysia, Yang Berhormat Datuk Seri Panglima Dr Maximus Ongkili on 10th of November 2014. In his speech, the Minister said both power plants would add capacity to the Sabah Grid System and help minimise power disruptions. The Minister added that the Group’s involvement in renewable energy through its two (2) subsidiaries, namely Cash Horse (M) Sdn Bhd and Mistral Engineering Sdn Bhd, coincided with the government’s policy and strategy to reduce the nation’s dependency on fossil fuel and enhance electricity supply. 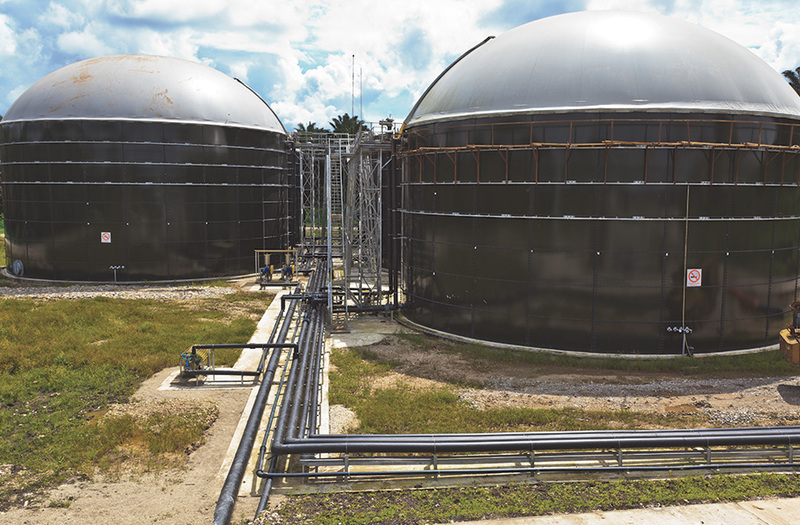 Mistral Engineering began construction of the 3MW biogas plant in 2010 and completed the plant in August 2013 at a cost of close to RM30 million. The electricity generated is sold to the neighboring mill for their processing activities and used for the staff and workers’ quarters. Also present at the opening ceremony were the Sustainable Energy Development Authority (SEDA) chairman, Datuk Dr Yee Moh Chai, and its CEO, Madam Catherine Ridu, Sabah Electricy Sdn Bhd senior general manager, Ir Abdul Nasser Abdul Wahid, and Cepatwawasan’s chairman, Dato’ Seri Mah King Thian and its managing director, Dato’ Seri Mah King Seng. 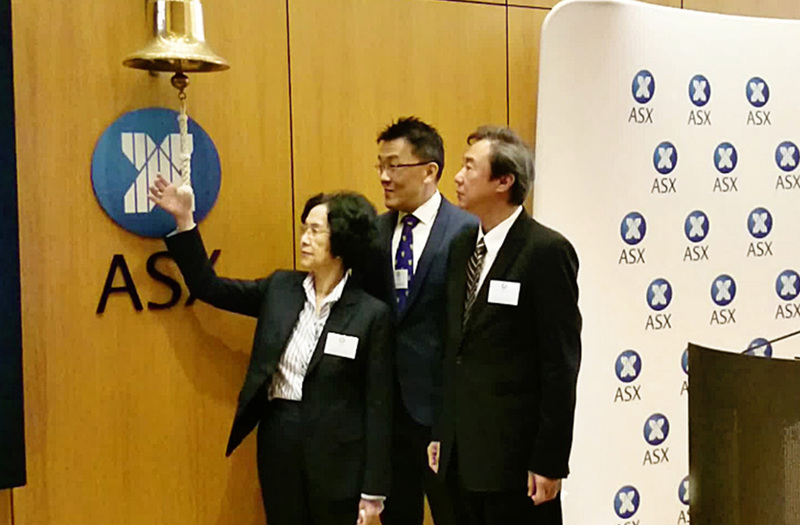 An Australian company listed in the Australian Securities Exchange. 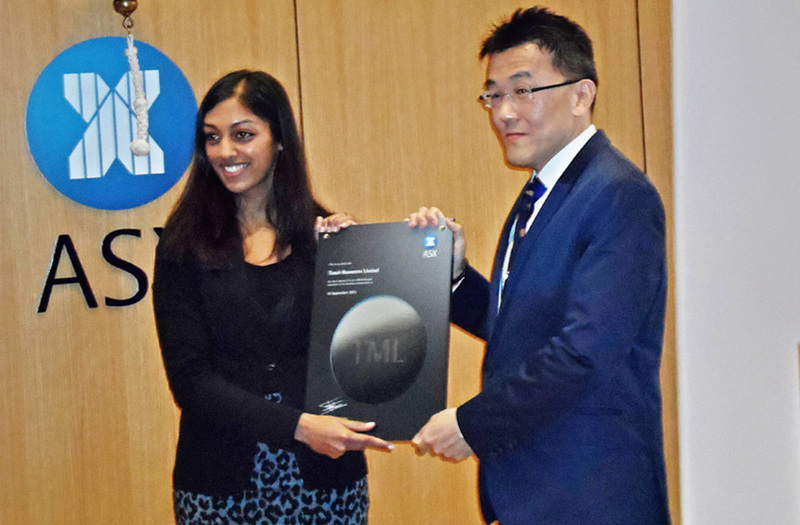 On 10 September 2015, Cash Nexus (M) Sdn Bhd (“CNSB”), a wholly-owned subsidiary of the Group has completed the reverse take-over of Timah Resources Limited (“TRL”), a company incorporated in Australia and listed in the National Stock Exchange of Australia by way of disposing 100% equity interest in Mistral Engineering Sdn Bhd for a total consideration of AUD8,550,000 to be fully satisfied by the issuance of 85,550,000 new fully paid ordinary shares in TRL at an issue price of AUD0.10 per TRL share and the subscription by CNSB of 10,000,000 TRL shares for a total cash consideration of AUD2,000,000 or AUD0.20 per TRL share in conjunction with the transfer listing exercise to be undertaken by TRL. 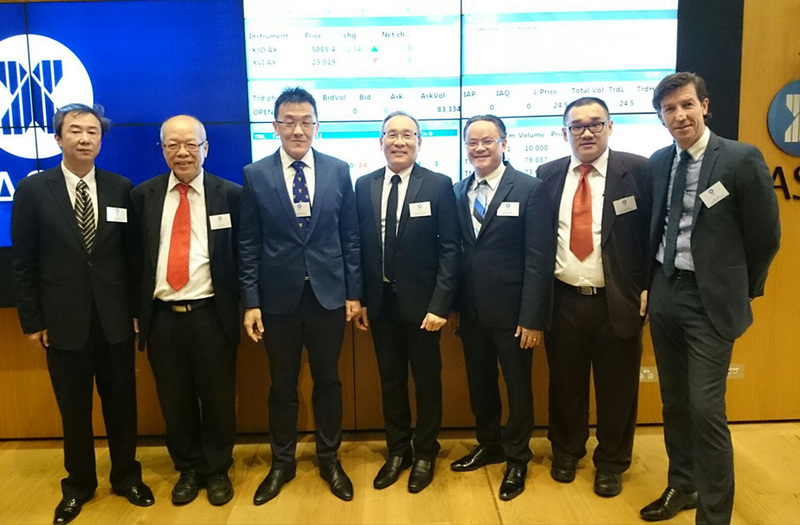 The transfer listing exercise of TRL to the Australian Securities Exchange was completed on 16 September 2015.